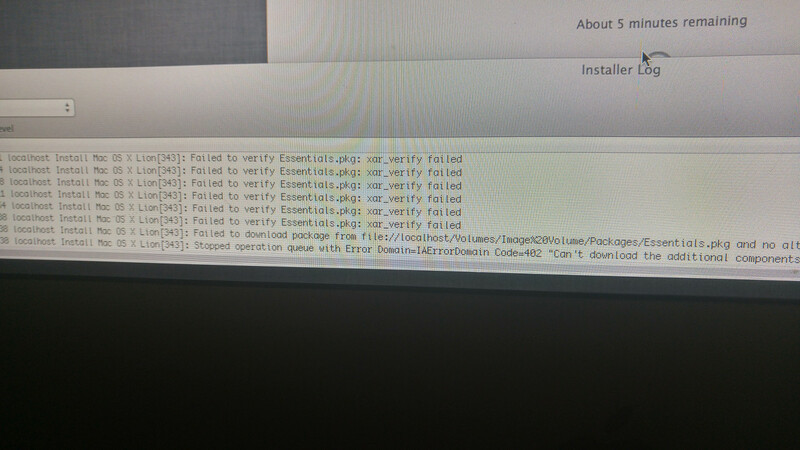 Error: "Can't download the additional components needed to install Mac OS X"
In the log: "Failed to verify Essentials.pkg: xar_verify failed"
I have an old iMac 5,1 that I'm trying to fix up. It has 3 GB RAM. I'm using a USB flash drive instead of a DVD as installation media, as I do not have any dual-layer DVDs. I wiped the drive using Disk Utility before installation. This iMac was successfully running Mac OS X 10.6.8 Snow Leopard before I tried to install Mac OS X 10.7.5 Lion. I have tried installing both with and without Wi-Fi. 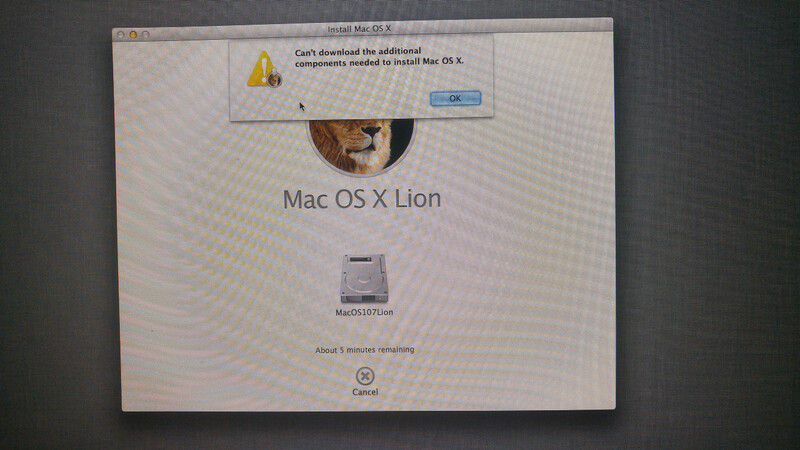 Browse other questions tagged macos lion imac install snow-leopard . How can I create a Mac boot disk? How can I log in again after downgrading a 1st-gen MacBook Air from Lion to Snow Leopard? How can I back up my OSX 10.6 Installation DVD and create a bootable USB drive? Why does recovery mode keep failing to install OS X on a new hard drive?